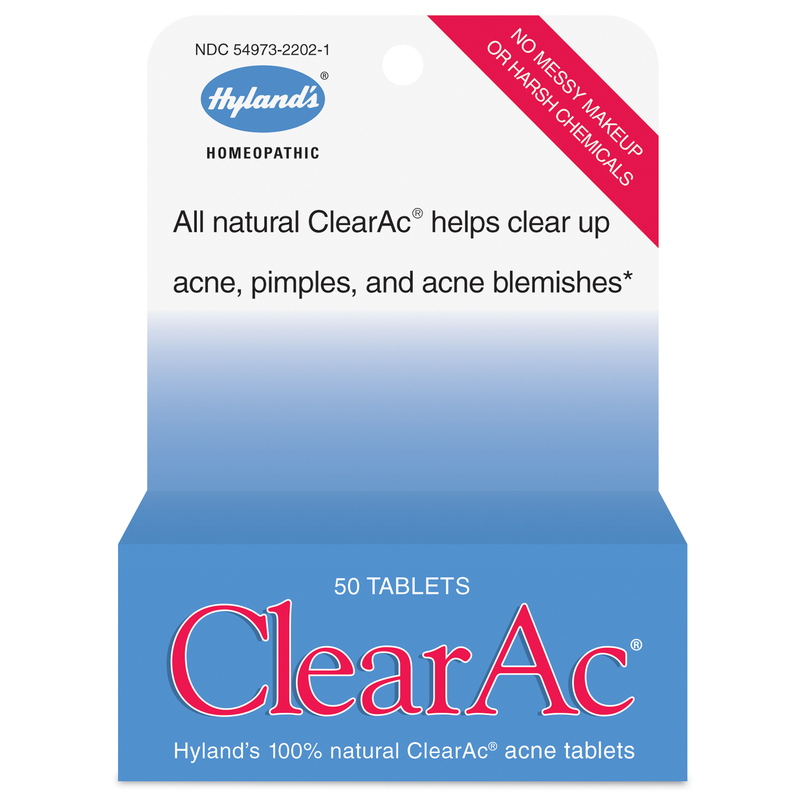 All Natural ClearAc Helps Clear Up Acne, Pimples, and Acne Blemishes. 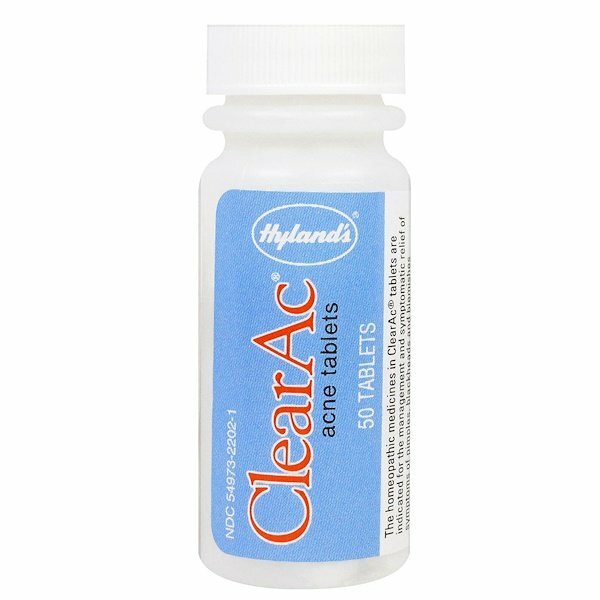 The homeopathic medicines in ClearAc Tablets are indicated for the management and symptomatic relief of symptoms of pimples, blackheads and blemishes associated with common acne (acne vulgaris). ClearAc tablets have no known contradictions or side effects. Use in conjunction with a high quality skin cleanser. Uses: helps clear up acne, pimples and acne blemishes. Adults: Dissolve 2 - 3 tablets on tongue every 4 hours or as needed. 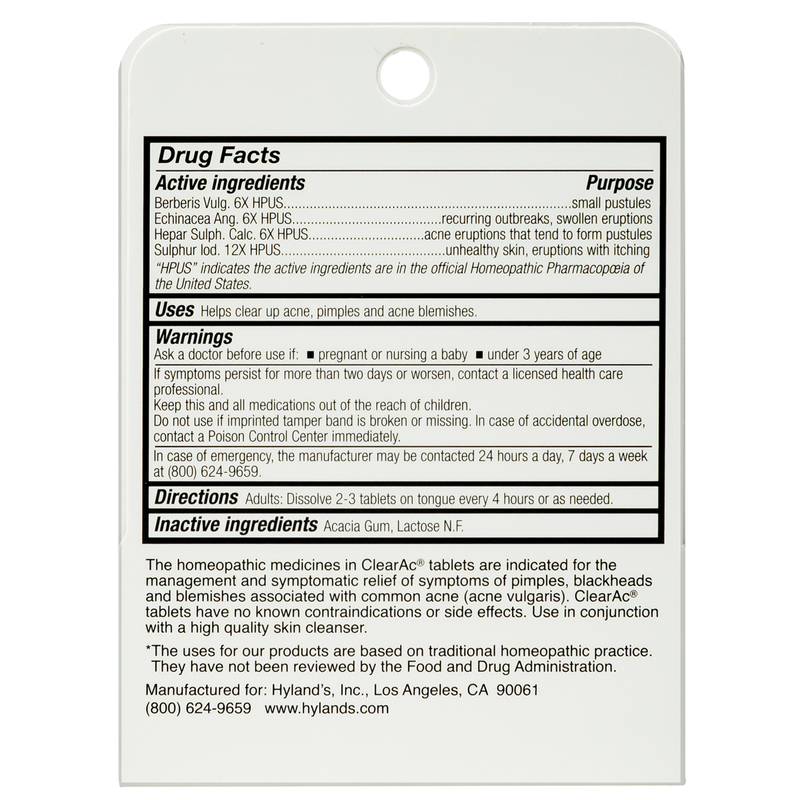 "HPUS" indicates the active ingredients are in the official Homeopathic Pharmacopoceia of the United States.